Dean Leroy Smith age 70 of Paola, KS died Tuesday February 26, 2019 at North Point Skilled Nursing in Paola. Dean was born May 2, 1948 in Paola, KS. He was the eldest of four sons born to Donald Leroy & Betty Lee (Troxel) Smith. He grew up in Osawatomie and attended school. 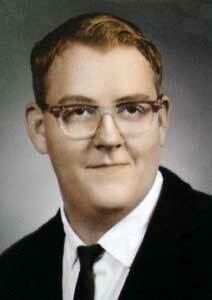 He graduated with the Osawatomie High School Class of 1967. After high school, Dean worked odds and ends jobs as a handy man. He met Beulah Christine (Bolling) Dade in the early 70’s. With this union Dean gained two step daughters Doris Ann and Norma Jean. In his spare time, Dean loved to play music. He played the drums. Dean also enjoyed tinkering with old cars and wood working. He was preceded in death by his wife Christine, father and two brothers Allen Smith and Randy Smith. Survivors include step daughters, Doris Ann Johns of Lane, KS and Norma Jean Raper of Osawatomie, KS, mother Betty Smith of Osawatomie, grandson’s Jason and Mathew Johns and brother Mark Smith of Osawatomie. Along with other family and friends.